Millennials. Centennials. iGen. Generation Z. Yawn… you’ve lost them already. With an attention span of eight seconds, Generation Z is the living example of ‘say it quick and say it well or forever be forgotten’. They already have some $44 billion in purchasing power and by 2020, they will account for 40% of all US consumers. No wonder many CMOs scratch their heads trying to unveil Generation Z’s habits. Preparing the best marketing strategy for this emerging face of shopping needs some research – so what should your brand know about Gen Z? And what preconceptions are just plain wrong? Born post-1996, they don’t remember times without the Internet or a mobile phone. They are two times more likely to shop on mobile but feel restricted by the lack of tech in place to do so. They are the most ethnically diverse generation, brought up in the world where having a black man as the leader of the most powerful country is a norm. Brands need to: roll with the times. 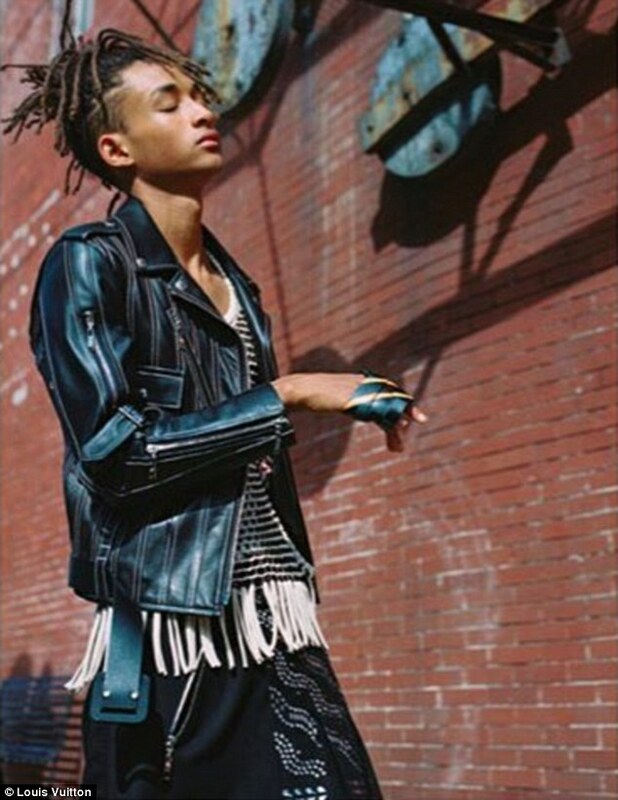 For them, gender doesn’t define a person as much as it used to and Jaden Smith being the new face of Louis Vuitton womenswear is the best example of this generation’s gender fluidity. They live and breathe social media and rather than caring about your brand, they are busy with building their own online persona. If their Instagram post doesn’t strike enough likes within a few hours, it’s discretely removed from the account. Social media affects Gen Zers’ own happiness and self-esteem more than any other generation. Brands need to: find a way to make them feel special and cherished. In its ‘Made by you’ UGC campaign, Converse created a platform for self-expression, highlighting customers’ individuality and uniqueness. Thumbs up. Privacy means a lot to Gen Zers – even though they seem to broadcast their every move on social media. They’re used to the chat-based formats of those platforms. Think private forums and two-way conversations rather than broadcast media. Brands need to: make sure their tech, both to facilitate conversation and protect privacy, is in line with their future customers’ needs. Centennials know how to self-educate and find information. They are careful with their spending and need to clearly see the value they’re getting for their money. Word-of-mouth plays an important part in their buying decision process and they can visit up to seven separate outlets for purchase reviews. They can smell a lie from a mile away and in times of Amazon and others’ fake reviews and scandal, it is crucial to keep honest conversations around your products. If they don’t trust the quality of your offerings, no marketing effort will change their mind. Brands need to: be honest at all costs. Stay away from scandal. And please, don’t say anything remotely stupid on social media – you’ll be eaten alive. They spend hours a day consuming content on YouTube, diminishing TV dependency. They love their emojis and emoticons and they communicate through images rather than text. Ensuring quality graphics like gifs, images or collages are incorporated into your marketing conversations is a must. Content has to be highly visual, snackable and shareable (hence platforms like Snapchat or Whisper appeal so well to this generation). Brands need to: make sure they’ve got the tools in place to start creating this kind of content (or find someone who can). A great example of a recent campaign comes from the snack company, Mondelez, who used Snapchat for their “Real-life Sour Patch Kid”. They used a relevant social influencer / comedian to create shareable content… simple and fun! Generation Z wants to make a difference in the world. They expect brands to stand for something; actions speak louder than big words so you have to keep it real. They certainly are doing it themselves: earlier this year an 11-year-old from Philadelphia got spotted by Elle after launching her #1000blackgirlbooks campaign. She now creates content for a like-minded audience in a form of digital magazine Marley Mag. Here’s the big one: brands need to recognise the power of its audience as creators and influencers. 63% of Gen Z prefer to see unknown ‘real’ people in ads than celebrities. And our research tells us that it’s not just the younger set who feel this way – the voice of ‘someone like me’ is one of the most trusted amongst all generations. Rather than spending your money on high profile characters, you need to create a genuine connection. We tend to agree – at Reevoo we see great results for our clients when they let their customers do the talking for them in their marketing and advertising. If you are a part of the marketing team tasked with creating the best content for your brand, it’s time to pay attention to Generation Z. They might not be your target audience right this moment, but their buying habits are just shaping up so reaching out now will pay off in the future. There is still a lot to learn about them, but one thing is certain – this next generation is the fastest growing consumer group in the world. And they’ll be replacing us dinosaurs soon.